The MagnaValve® reduces labor, media and energy costs while adding control and reliability to blast cleaning and shot peening processes. 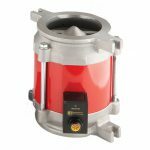 The MagnaValve is the ideal replacement valve for mechanical abrasive control valves. Q. How do I find the right MagnaValve® for my blast cleaning application? A. MagnaValves are categorized by desired flow rates, a wheel machine’s horsepower, and whether your control panel has 110 Vac or 24 Vdc electrical voltage available. We have data sheets with specifications and dimension drawings for each product and our customer service and engineering staff are ready to assist you. Q. Can I install a MagnaValve® on my older machine? A. Yes, the MagnaValve is ideal for retrofits. In fact, we have a complete line of low profile MagnaValves that were designed for retrofit applications. 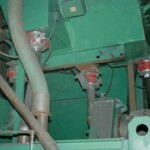 Many rebuilders of Pangborn, Goff and Wheelabrator equipment use MagnaValves in their machines. Our engineering staff will answer any questions you may have during the installation of your MagnaValve. Q. What media can I use in a MagnaValve®? A. 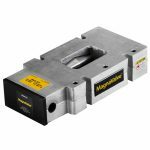 The MagnaValve can flow the following ferrous media: cut wire media, cast steel shot and grit, and stainless steel cut wire media. The MagnaValve does not flow cast stainless steel shot because it is not magnetic. Q. 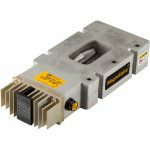 Why should I use a controller with a MagnaValve®? A. A foolproof closed-loop operation is possible when a MagnaValve is paired with an Electronics Inc. (EI) controller. We have MagnaValves and controllers for automatic amperage closed-loop control and MagnaValves and controllers for automatic flow rate closed-loop control. These media control systems give accurate and repeatable results. 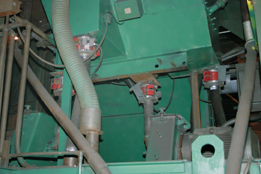 (Read our article on how controlling amperage reduces damage to your machine and lowers energy and media costs.) We also have MagnaValves with manual operator controls. Q. 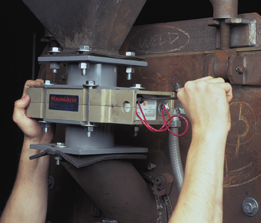 Will my machine operator like the MagnaValve®? A. 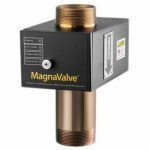 Machine operators love the MagnaValve because it’s a low-maintenance valve—it has no moving parts so there are no parts to wear or break and it’s completely sealed to prevent media dust from entering the valve. When used with a controller, adjustments are easily made at the control panel. Q. My mechanical valve leaks, resulting in lost production time while the wheel housing is cleaned out. 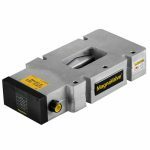 How does the MagnaValve® prevent shot leakage? A. 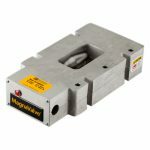 The MagnaValve has rare earth permanent magnets for normally closed operation and an electromagnet for controlling shot flow rates. With power applied, the magnetic field is neutralized and shot is allowed to flow through the valve. When no power is applied to the MagnaValve, the permanent magnets stop all flow. 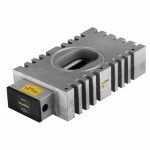 If the power is interrupted for any reason, the permanent magnets securely hold the shot, thereby virtually eliminating shot leakage. Q. Can I use different sizes or types of media in a MagnaValve®? A. Yes, the LP or VLP MagnaValves can use different sizes or types of media without recalibration. When using the 500-24 series valves (with internal flow rate sensor) the valve may need to be recalibrated. 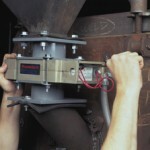 Your valve will be calibrated with the shot type and size specified on the Purchase Order. In most cases, the MagnaValve must be recalibrated if a different media type or size is used. We recommend that the valve be returned to EI for recalibration but there are some instances when it can be done in-house. Our engineering staff is available to answer any questions on recalibrating the valve. Q. My mechanical valve doesn’t maintain a constant flow rate. Why? A. Mechanical valves suffer erosion due to the abrasive rubbing against the surface and therefore self-destruct. Their many external and internal moving parts that are exposed to shot and allow metal dust to enter the valve. Also, to close the valve, a mechanical valve must apply frictional force against the media, which causes wear. 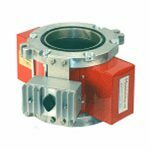 The worn areas allow more media to flow with little or no control over the flow rate. 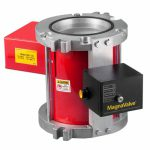 In contrast, due to the MagnaValve’s electro-magnet design, the shot pools on the interior parts of the valve and provides a layer of protection against flowing shot. Q. Is the MagnaValve® CE compliant? A. Yes, our 24 Vdc MagnaValves are CE compliant. Q. 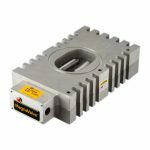 How does the MagnaValve® reduce media and energy usage? A. 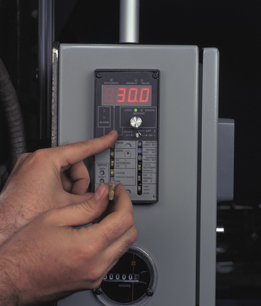 A MagnaValve’s controller is so easy to adjust that machine operators can adjust the MagnaValve’s flow rates to accommodate the requirements of different components. Because mechanical valves are difficult to adjust, they are often set once and forgotten so all components, regardless of size and composition, receive the same cleaning treatment. 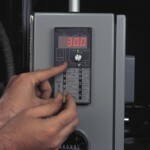 This lack of control results in media waste and wasted energy usage due to excess load on motors. Q. I work in a foundry. 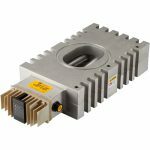 Do you have a MagnaValve® that tolerates high-temperature environments? A. The WM 3000-24 MagnaValve is ideal for foundries. 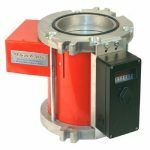 The Remote Valve Driver for the MagnaValve comes with a 6-ft cable for installation in the customer’s electrical panel, making it an ideal valve for blast machines in high-temperature environments. 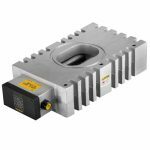 It’s a powerful valve with a flow rate capacity of up to 3,000 lb/min (1,361 kg/min) for wheels up to 125 hp.